In the afternoon of September 11, 2001, The Toronto Star published a rare “extra” edition of the paper with the huge headline “America Under Attack.” I’d been watching live television of the attacks all morning, but it hadn’t occurred to me, not knowing how to process what I was seeing, that that was specifically what was happening. America was under attack. I thought about that headline, and other memories from that day, while watching Come From Away on Broadway last week. The unlikely musical, written by a Canadian couple, tells the story of the many Americans who were unable to land in the United States when U.S. airspace was suddenly closed, and instead ended up in the town of Gander, Newfoundland. A Playbill insert explains that in order to create Come From Away, “writers Irene Sankoff and David Hein collected hundreds of hours of interviews with locals in Newfoundland, as well as the passengers who were stranded there during that fateful week.” The resulting dialog felt very true, and it was easy to believe that many lines had been lifted verbatim from real people. The other reason I got a bit emotional was more personal, even though I have no personal connection to the 9/11 attacks. More on that later. It’s easy to forget how much the world has changed since 2001, as indicated, for example, by the existence of that extra print edition of The Star. Many people didn’t have cell phones, and the phones that existed didn’t have web access. News websites existed but were not as robust as they are today. As the attacks unfolded, people looked to television and newsprint for updates, and used pay phones and other landlines to get in touch with friends and family. Unless you were on a plane, in which case chances are you had little to no idea what was going on or ability to contact the outside world. Some pilots chose to downplay or mislead their passengers about the events unfolding in the U.S., while other pilots were kept in the dark themselves, unclear on why they’d suddenly been diverted and told to land. As soon as the FAA closed U.S. airspace, the Canadian government ordered Canadian airports to receive those flights that suddenly had nowhere else to land. During the emergency, “planes were entering Canadian airspace at a rate of one to two planes per minute.” In the confusion and panic of that morning, there were many false reports of additional hijackings and bombs, and no one knew if these flights were safe. As the mayor character in Come From Away grimly but accurately notes, as many planes as possible were to land in his town rather than at busier airports in more populous areas to ensure fewer people were being placed at risk. The musical portrays many of the logistical problems that had to be dealt with: where to shelter all these people, how to transport them in the middle of a bus driver strike, what to feed them, how to clothe and care for them, not to mention what to do about animals in the cargo-holds. The audience also relives, through the characters of Gander, what it was like to first hear the news of the attacks, and then witnesses, through the passengers, what it might have felt like to have heard very little while trapped on planes for up to 28 hours, only to have a day’s worth of terror dumped on them all at once. Those scenes gave me chills, but they’re still not the thing that, aside from The Islander, made me the most emotional. Come From Away is one of the best, most nuanced, and likable artistic expressions of Canadian culture I’ve ever seen. Stereotypes like Tim Hortons, Shoppers Drug Mart, and Rogers Cable news, so often used to depict Canadianness cheaply and unthinkingly, are placed in a meaningful context that actually provides a sense of how people in Gander live. Later, a “Heave Away” sing-a-long (complete with an Ugly Stick!) is followed by a reenactment of a screech-in ceremony which must seem at once charming and insane to American audiences. And yet, the play isn’t even about Canada, and that’s what surprised and hit me. Ultimately, the protagonists are the stranded Americans, “the plane people” as locals call them. The celebratory climax is when they get to leave Canada and finally return home. The Canadian writers understood the show is fundamentally about America under attack. By weaving an affectionate and funny love letter about the people of Newfoundland into a story about another country’s tragedy and pain, Come From Away is insightful about and respectful of both countries at once. It’s a story about Americans, written by Canadians, for Americans. And I got to see it as a Canadian living in America, surrounded by a mostly American audience, which made me feel a whole bunch of things at once. As people walked passed me out of the theater [sic], I overheard “that was amazing,” “that was incredible,” and “do Canadians know about this? !” One ten-year-old girl was saying to her father, “it was like it was a whole, and we were one half of the whole.” She might have been talking about the performers and the audience. She might have been talking about the Canadians and their American guests. Importantly, Come From Away doesn’t ignore the sadness and ugliness of that day and the days that followed. A medley of monotheistic prayers, emphasizing unity and understanding, is immediately followed by an angry mob verbally attacking muslim passengers. The hospitality and compassion at the heart of the show is made more important and powerful because it’s mixed in with the reality of fear and anti-muslim sentiment. I enjoyed reading this Chris. We saw the show in Toronto just after Christmas. I wondered if it would go down well in the States, glad it is such a success. “Do Canadians know about this?” !!! My thought was “Do Americans know about this?” ! I wonder how many thought it was fiction…. We have family in Gander – did you know that the entire cast of the show went to Gander before any stage production, and put on two performances (reasonably priced) just for the Gander population? All profits went to the fund set up for Gander students by many of the passengers. Also, there is now a big chunk of the WTC on display in Gander airport. Come From Away is a phenomenal musical, crafted with love and the utmost care. David & Irene’s own 9/11 story, as residents at an International student house for graduate students, in Manhattan, their microcosm of the world, makes the story even more poignant. I love David’s explanation about it being a 9/12 story and Fred Roger’s telling kids in times of trouble to look for the helpers. A more beautiful explanation may not exist. It’s been a six year journey for David and Irene; it’s been over two years for most of the cast. As a commercial production. The musical as basically presented now began in May, 2015, @ljplayhouse in LaJolla/San Diego. That is where we first fell in love with it. We are eternally grateful to Great Big Sea for the email telling us about the play, and Bob Hallety’s role. From there it went to Seattle, then to @FordsTheatre in Washington DC, where they performed for their first large group of survivors, first responders, and their families. to their first performance. They wanted to make sure they honored them. The attendees, while apprehensive, left feeling lighter, more fully healed. It was a Cathartic event for them. We saw it again on 10 Sept 2016 in that storied, intimate theatre. 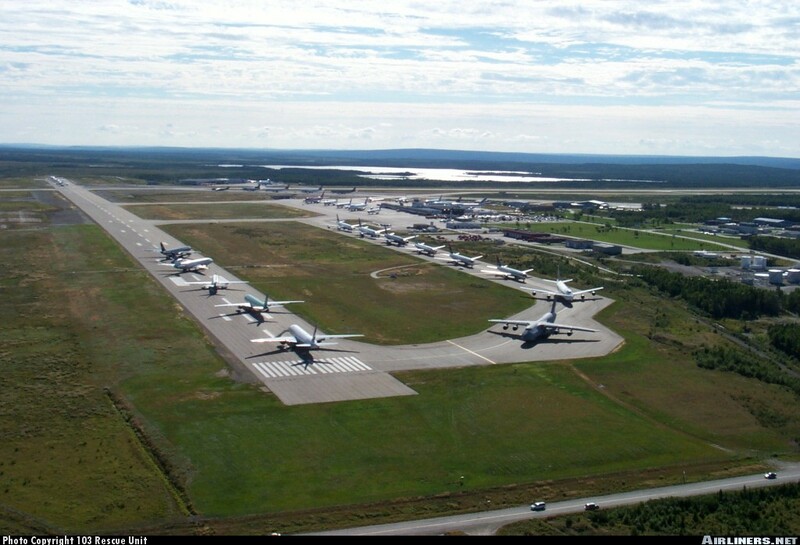 Then they went to Gander, to honor the people whose lives they were representing. They were blown away by the THUNDEROUS reception, from the very first “I am an Islander” in the intro til well after the arena was empty. Then the played Toronto and on to Broadway where we celebrated our anniversary by seeing two matinees in early June. Do Americans know this story? Some of us did thanks to Tom Brokaw’s human interest story from the Vancouver Olympics. More are learning it every day. Next Next post: How many birthdays does the Queen have?